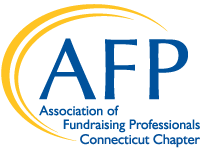 The AFP Connecticut chapter offers a Job Posting Service on our website JOB BANK for area fundraising professionals. Job announcements must be in writing and emailed to the AFP Connecticut Chapter Administrator; Job announcements will be posted to the website as soon as possible but not more than 5 days after receipt of payment and will also be featured as a link in the following month's program notice; AFP Connecticut Chapter reserves the right to edit any announcement or reject a posting. EMAIL POSTING to afpctchapter@gmail.com. Include: Position title, description, salary, deadlines, instructions for applying, contact person and that person's email and phone. PAY ONLINE: Click here to pay online. Once you click the link, scroll down until you see the yellow REGISTER button, click it and follow the instructions. We accept most credit cards but do NOT accept American Express. PAY BY CHECK: Please make check payable to AFP CT Chapter and mail to AFP Connecticut Chapter, P.O. Box 2420, Middletown, CT 06457. NOTE: If you are interested in posting more than one job at the same time, and paying online, be sure to enter in the number of additional job postings you are paying for so that your total will calculate correctly. For example: If you are paying for two job postings at the same time, you would enter a "1" in the Additional Job Postings box. NOTE: If you wish to post more than one job within the same calendar year (at different times within the year), you will now be able to do this by modifying your original "registration". Please email the Chapter Administrator and he will provide you with instructions on how to do this. Jobs will be posted only upon receipt of payment. Click here to pay online.